Trevor’s S-Works Tarmac came out gorgeous. Can’t imagine how fast this bike is gonna be….coming in at 14lbs 1oz! WE WILL BE CLOSING EARLY TOMORROW, SATURDAY JANUARY 25TH AT 2PM. WE APOLOGIZE FOR ANY INCONVENIENCE. Can’t wait to get this out on the trails-rain, rain, go away! 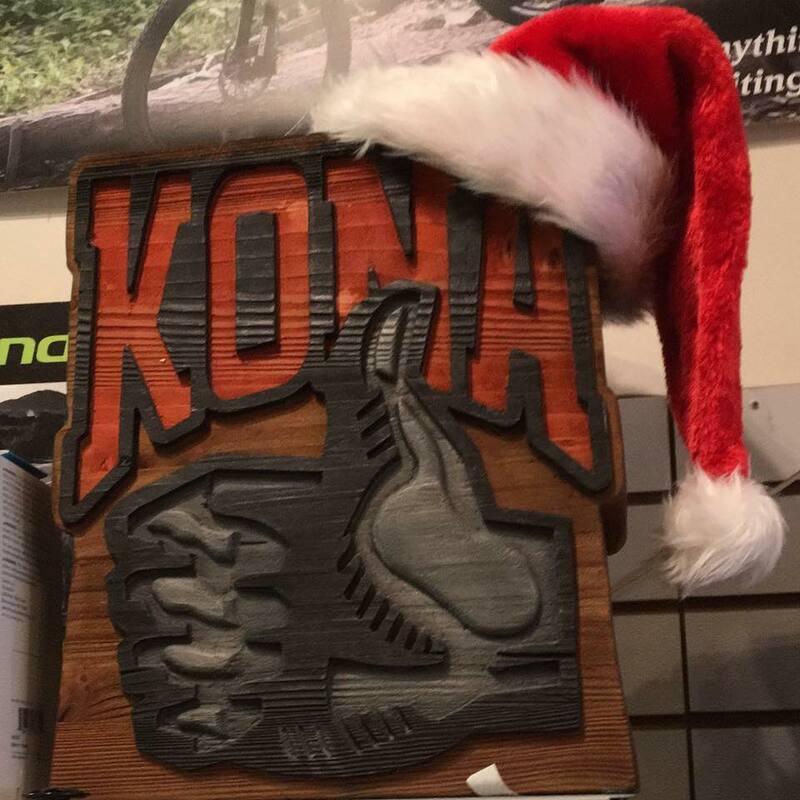 Kona Hei Hei Trail in medium-come by the shop, call or email if you’d like to try it out. Hello Operator, get me Santa’s line! 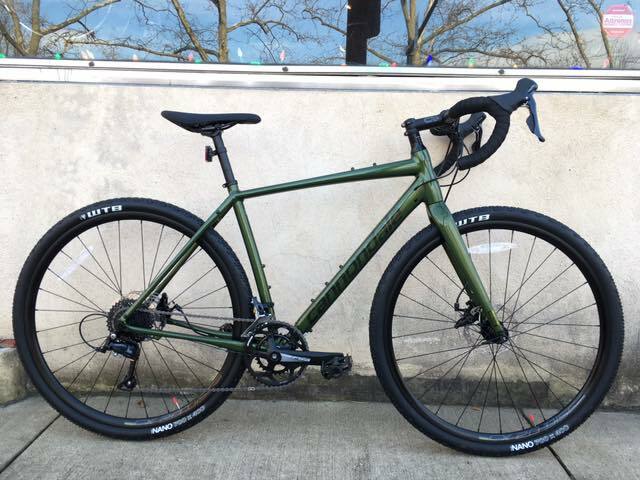 The new Cannondale Topstone looks great and rides like a dream. Come by to check it out. Love the look of this one, can’t wait to hear about it. This one will brighten your rainy day! Small Business Saturday was a great day, thanks to everyone who came by to visit and all the customers that supported our small business:) We are grateful for all of you! Hope everyone had a very Happy Thanksgiving! WE ARE CLOSING AT 3:30 TODAY DUE TO THE WEATHER. PLEASE BE SAFE OUT THERE. Mark was stoked to pick up his custom built OPEN UP yesterday. Hope it rides as good as it looks!